Bruce Lee, as I have said before in many posts, Bruce Lee can essentially be called the Grandfather of MMA, so today we venerate Bruce again by reviewing one of my newest and favourite Bruce Lee T-shirts right now which is this UFC Bruce Lee Eternity T-Shirt. For me its a pretty deep point, because Bruce Lee’s story means so much in this world to me and every true martial artist in the world – its one of my favourite ways to represent my respect to his life which is by wearing a T-shirt of him. Ultimately the messages he left before his untimely death are truly eternal, so that’s one of the biggest things I like about this T-shirt, just the name of it gives me goosebumps when I think about the life and times of Bruce Lee. Its beautiful in Black and has a really nice picture print of the man, then right on the back of the T-shirt is 3 letters, a little reminder of what he helped to bring forward in the world – UFC. I don’t get much MMA gear from the UFC store, but I like getting a few t-shirts and fan stuff occasionally, lets take a closer look at this awesome T-shirt which is one of the UFC stores best sellers, but before we do that lets take a moment to Look at Bruce Lee’s connection to the UFC. What has Bruce Lee got to do with the UFC? Many Martial artists have been influential in the growth of MMA throughout history, but Bruce Lee was the one who brought the focus to Martial Arts on TV and in real life to the world in so many spectacular ways – he was the one who also brought forward the idea of blending different martial arts into freestyle hand to hand combat, to express yourself and create the perfect fighting amalgamation. In 1969 Bruce Lee created the martial art Jeet Kune Do on this basis, referring to it as “non-classical”, suggesting that it is a form of Chinese Kung Fu, yet without any form. However, unlike more traditional martial arts, Jeet Kune Do is not fixed or patterned, which is a philosophy he extended to all areas of life. It was named after the Wing Chun concept of interception or attacking while one’s opponent is about to attack. In response to the huge impact Bruce Lee had on worldwide Martial Arts, the owners of the UFC wanted to test out his philosophies for themselves by creating the UFC. It was no surprise to any of Bruce Lee’s followers that what he talked about for years was proving to be a fact in the UFC from day one – it is the fighter that can adapt, can fuse a combination of styles to become victorious. The President of the UFC Dana White has often called Bruce Lee “The father of Mixed Martial Arts”. This statement really says it all. Such a quality print of the man – I cant stand bad prints on T-shirts, especially when its one of my heroes like Bruce Lee, I’m glad to see that the UFC agree. This T-shirt has a top quality print of the man himself, in the classic yellow training outfit straight from his famous Game of Death film. Bruce Lee T-shirts are some of the best sellers on the UFC store and based on the detail of the Bruce Lee prints on their t-shirts I can see why! Great price and quality – It’s one of the best parts of this t-shirt, just the simple fact that its at a nice low price with an additional reduction and the quality of the T-shirt itself is really good. The mix of cotton and polyester makes it really strong yet comfortable and because the price of all the UFC store t shirts is so good I personally have bought multiple Bruce Lee T-shirts from there! Reminds people of his input to the UFC – As great as the Bruce Lee image is on the front of the T-shirt, its what people see on your back that is a nice little touch as well, just the three words UFC which is just so cool for me, because ultimately it not only shows respect by the owners for the accomplishments of Bruce Lee, it also reminds the world of the fact that Bruce indirectly helped create the UFC itself in many respects. Really nice short sleeve design in a variety of sizes. Quality materials are used in the T-shirts design with a 60% Cotton and 40% Polyester mix, giving comfort and durability. It is Machine washable, which makes keeping the T-shirt clean simple. The T-shirt is Officially licensed by the UFC, meaning it shows everyone how much the UFC owners venerate Bruce Lee just like me and just like an true martial artist and fan. The UFC store really have great prices for these kind of T-shirts, meaning you wont need to break the bank to get such a quality t-shirt. The print of Bruce Lee is so good, easily one of the best prints I have seen on a t-shirt. The overall style of the T-shirt is through the roof really! I mean just the idea of a T-shirt referencing Bruce Lee, his eternal message and the UFC is so poetic and powerful no matter where you are wearing it. Now I’m not going to complain about this, because black is my favourite colour for clothes, but I know some people might not like the fact that this T-shirt only comes in black – So if you don’t like black clothes this might not be for you. The stocks and the reduced prices will not last forever! As good as the price reduction and stock levels are right now, Bruce Lee t-shirts are a top seller on the UFC store so don’t expect this great T-shirt and great offer to last! The Eternal Dragon cannot die! In my opinion everyone should have at least a few Bruce Lee T-shirts in their clothing range. When you are wearing this UFC Bruce Lee Eternity T-Shirt you are literally showing the world that the message, the fighting knowledge and global respect of Bruce Lee will never die, regardless of what happened to cause his untimely death on the 20th July 1973. All martial arts globally and everyone associated with the UFC will always remember the name Bruce Lee, because the dragon is truly eternal! So if you have not yet bought a T-shirt of the man to show your respect to the world, then you can do that right HERE. I hope you have enjoyed today’s post, so please leave a few comments below if you have any questions or general feedback and as usual stay tuned for the best MMA product reviews in the industry and more from the world of MMA right here at the MMAGateway. 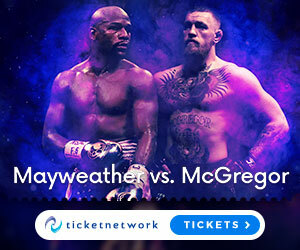 im glad that ive stumbled across this website because i have been interested in getting into mma for some time but didn’t really know how to start and i dont have any friends or family that are too into it unfortunately. this website seems like a great place for all things mma. Hi Chris, nice to see you here – when it comes to starting MMA training I would say, try different schools in your local area, most gyms will have a free session and various course prices you can sign up for if your ready to learn and work hard to change. Also remember that some gyms have better training facilities/partners/teachers then others -so find out which one is gona be the best fit for you. Also you can start at home and get all kinds of additional training support at the MMAGateway, there are all kinds of online courses to do, which will help supplement your own physical training whether its at your local gym or at home. Also don’t forget that just by getting a T-shirt like this awesome UFC Bruce Lee Eternity T-shirt, will help boost your confidence levels within and in between training sessions. Any questions you ever have about any martial art the feel free to ask me. Thanks for the review , I am huge Bruce Lee fan and I love his movies!! I with you… kinda bummed it only comes in black. Thanks for the info! Great site BTW!! Hi Daniel, always nice to hear from another Bruce Lee fan! 🙂 sure its only in black, but the T-shirt nicely encapsulates Bruces legendary status and his input to the creation of the UFC. Speaking of which have you seen these amazing UFC event posters? A great product to buy for people who are into UFC and martial arts. Bruce Lee is one of the legends that’s remembered even today by anyone, no matter what previous generation or new generation. He’s the unique face of martial arts. Great that it has many sizes to fit everyone. I would like it to be 100% cotton but polyester gives a different touch to the fighting wear. If you love Bruce Lee you should also check this T-shirt out. I’m a huge fan of Bruce Less and watched pretty much all of his movies. Black is perfect… and I like the design work. I’m also a fan of martial arts. Do they have the size Extra Small? Does the T-shirt fit women? If not… the men’s small is usually too big on me. Hi Monica, sorry for the late reply, but that’s awesome you definitely are a big Bruce Lee fan just like me! 🙂 but yeah black is cool, and i don’t think they do any sizes smaller then small, but maybe you could use it as a dress or something? lol. Also you should check out this great women’s training top. Wow, as a fan of Bruce Lee, I am glad I found this article. Have been collecting shirts that has got his icon in it and this has now gone into my Christmas wishlist! Black definitely goes well with the printing in this case (well its my personal taste for sure). Hi there, always nice to have a chat with another big Bruce Lee fan! 🙂 ok well you know what to tell your friends and family to get your for Christmas now lol. They might also wana get you a second or third or fourth present too!